Love is always easy, however it is our own baggage, past experiences and belief systems that can cause things to get blocked or challenging. Do you get embarrassed when someone compliments you? Do you deflect or change the conversation when someone praises you for something? Learning how to take a compliment without feeling guilty or feeling the need to deflect, is one of the most important steps to opening your heart to receiving more love. If you can’t accept a compliment, chances are you are blocked from receiving and this goes hand in hand with being blocked from receiving love. Practice learning how to graciously accept compliments and to appreciate and admire yourself for all the praise you do receive. In order to receive love you must be open to giving love. Being open to giving love means that you not only love and trust in yourself but also in the world around you. This can be challenging at times especially if you view the world as a cold and harsh place, but the more you start opening up room in your heart, the more you will attract positive experiences. Recommended: The Ultimate Truth About Love… Or is it??? To practice this, start simply smiling at people you meet on the street. This small act helps to open you and invites trust and compassion into your life. Everyone has fears, they are normal and part of life. The trick is to not allow your fears to overrun your life. When you fear that you are not good enough or smart enough or good-looking enough, you instantly block the flow of love and abundance into your life. When you accept yourself, perceived flaws and all however, you open up space in your heart and release the blocks holding you back from receiving love. To practice this you must walk the path of forgiveness. This means that you must accept and forgive all the things inside of you that you once believed were not good enough. Cleanse them out so they are no longer part of your belief system and then replace them with positive and uplifting thoughts. Are you quick to judge others based on their actions or appearance? While how people can act can give us clues as to their personality, be mindful of judging others harshly. When you find yourself putting down others or speaking ill of others it not only lowers your vibration but it also closes off your heart from opening to love. Judging others harshly is also a sign that you are quick to judge yourself and your own actions, which moves you away from love and into a space of limits or fears. Instead of judging yourself and others, try to practice compassion. Be gentle with yourself and try to bring a new sense of understanding as to how you perceive others. This doesn’t mean that you need to tolerate bad behaviour, instead it means that you find a compassionate and loving way to deal with all of life’s situations. Do you know what you want? Do you know what you are really looking for? Learning to express yourself not only to others but also to yourself is a powerful way to open up your heart. Being clear about what you want is not about making a vanity list of all the traits you want your partner to have, instead it is about being clear about what energy you are wishing to attract into your life. Get really clear with yourself and tap into your hearts desire, ask your heart what would be most beneficial for it at this time. 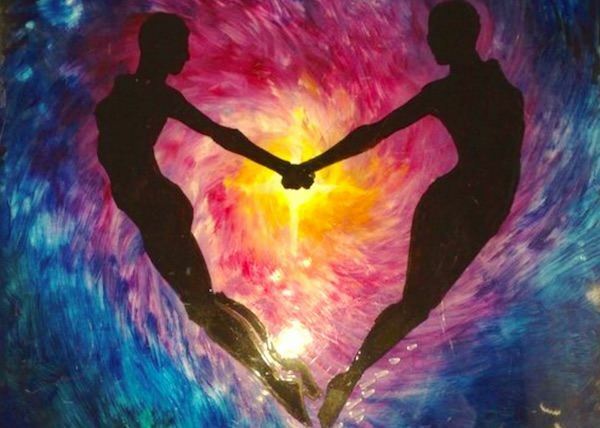 It may be a relationship or it maybe a time for independence, either way connecting with the dialogue of your heart is a great way to release blocks. There are other ways that the heart can become blocked to receiving and giving love, however the most important thing is to not get caught up in the why but instead focus on being gentle with yourself and practicing compassion. Do yoga poses that expand and open the chest area like camel, standing bow pose etc.